On the other hand, DC Comics has laid in the bottom of the barrel in regards to this franchise setup with their own comic book characters. Sure, we’ve gotten some pretty excellent stand-alone Batman films as well as some other less appreciated superhero movies in the past, but never a big set up for the ‘Avengers‘ equivalent in the DC universe, which is ‘The Justice League‘. Yes, it has tried to get off the ground numerous times, but only until the past couple of years, has the steam engine on this project been put into high gear. 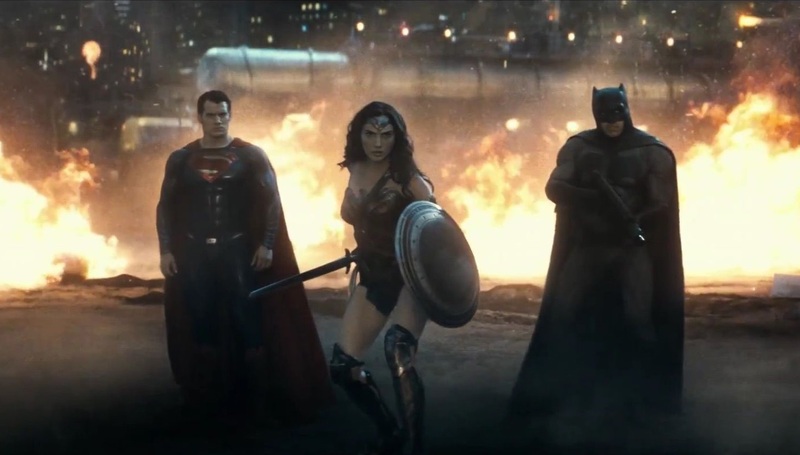 I say it’s a great time in our movie-watching lives, because we finally get to see Batman, Superman, and Wonder Woman come together to fight the evil villains in a big, epic $250 million budget movie, that sets up the big ‘Justice League‘ franchise with all of the separate character movies. Judging by ‘Batman v Superman: Dawn of justice‘, I don’t see many people, my self included, having a real good time with any of these movies like you do in the Marvel Universe. DC has decided to keep with its ultra dark and brooding tone, almost void of any real fun with the characters. Ultimately, ‘Batman v Superman: Dawn of Justice‘ has some good moments here and there, but fails to really stick any sort of landing. The pacing is all wrong in this overly-long 152-minute film. It drags on for quite a while with dream sequences from Batman (Ben Affleck), as well as the 214th iteration of his origin story, along with a ton of set-up between how Batman, Superman (Henry Cavill), and Lex Luthor (Jesse Eisenberg) come to meet one another. There is really only one big action scene in the film, sans the last twenty minutes that pits the heroes against each other, which transitions into an instant friendship. The film starts out pretty damn good though with some excellent film work of Batman’s origin story, that cuts to a title card that says, “Mankind is introduced to Superman”, which takes us to the fight between the Man of Steel and General Zod from the film ‘Man of Steel‘, only this time, it’s seen through the eyes of Batman and the rest of Metropolis as the two Kryptonians basically leveled an entire city with their fight. 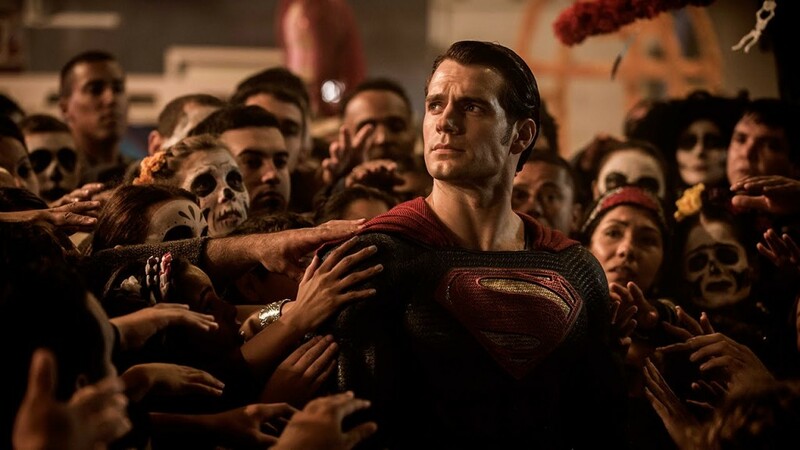 The film then cuts to 18 months later, where the world has accepted Superman as their hero or god like alien, even having whole parks and monuments dedicated to Superman. Then enters Lex Luthor, who of course hates Superman, but also wants access to General Zod’s body and the Kryptonian ship that has been studied in the center of the city. This is all a ploy to rid the world of Superman, which he more or less enlists the help of Batman to kill Superman. We all know how it turns out, due to the trailer for the film, where Wonder Woman shows up and the three take on a well-known villain for a few minutes. Unfortunately, Wonder Woman (Gal Gadot) does NOT receive a lot of screen time. In fact, you really won’t see her until the final moments of the film. I still love Henry Cavill as Superman, however, he is fairly emotionless here, despite a couple of angry looks, but his dry humor and nerdiness are lost here. 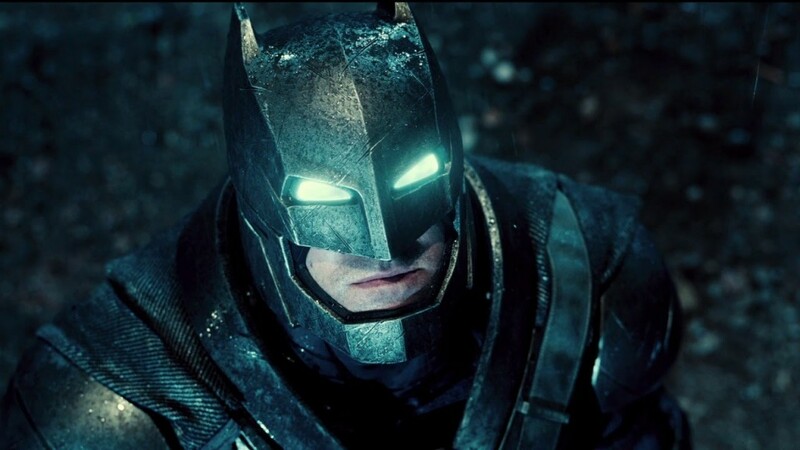 Ben Affleck as Batman was solid. I loved him as Bruce Wayne and Batman equally. He went full-on crazy vigilante mode here and was more sinister side of Batman up until a certain point, which I enjoyed seeing. Jesse Eisenberg as Lex Luthor is an interesting take on the iconic character. It was a bit over-the-top in this origin role, which almost was too similar to Heath Ledger’s Joker character, but nowhere near the same caliber performance. It just didn’t seem to fit the character. 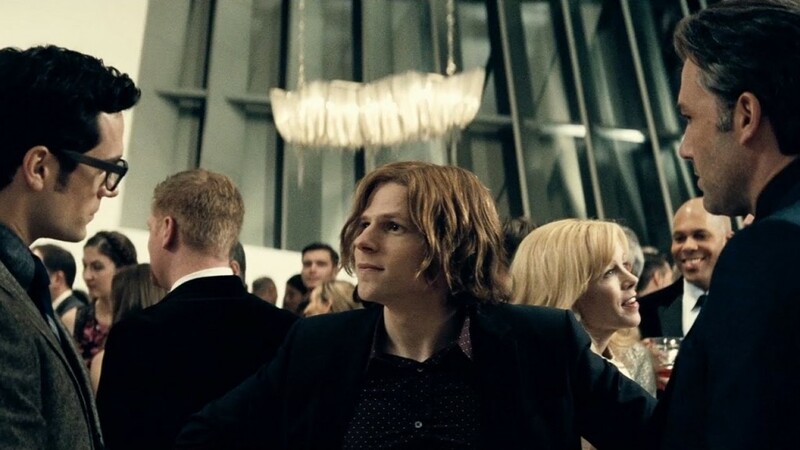 Eisenberg did succeed at making Luthor extremely unpredictable in mannerisms and speech, but again, it seemed more on The Joker side of things, rather than Lex Luthor. Jeremy Irons as Alfred was solid, although miscast as well. Zack Snyder has signed on to direct the two ‘Justice League’ films after this one, and he sure has his work cut out for him. Overall, the film looked amazing, visually speaking. Snyder showcased the strengths and weaknesses of Batman and Superman very well in their fight scene. It was certainly one of those good moments I mentioned in the film. The problem is the story-telling and pacing of the movie, along with miscasting some of the bigger roles. In addition, Hans Zimmer and XL Junkie’s score was lacking, relying mostly on just loud sounds, rather than any type of real score. Again, ‘Batman v Superman: Dawn of Justice‘ has some good things going for it, but a lot of bad things running it into the ground that keeps this would-be amazing superhero film from shining above the rest. I didn’t hate the film with a passion, but I also wasn’t a big fan of it either. This entry was posted on Wednesday, March 23rd, 2016 at 10:54 am	and is filed under Comics, Film, News. You can follow any responses to this entry through the RSS 2.0 feed. You can skip to the end and leave a response. Pinging is currently not allowed. « Taylor Kitsch Writes, Directs & Stars In ‘The Pieces’!! !